New York, part 2 . . . and a *secret* about Kelly Ripa ! When I was 6, I won a coloring contest at our local Baskin-Robbins. The prize? 31 FREE scoops of ice cream!!! Is there anything more exciting than free ice cream to a 6-year-old (or a 40-year-old, for that matter)? As a sophomore in high school, I won tickets from a radio station to the Cyndi Lauper concert. Second row from the top of the auditorium, total nosebleed seats, but I WON!!! 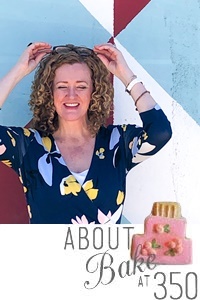 And, then, Foodbuzz sent out an email asking if any of its featured publishers would like to apply to go to Kelly's Cake Off. I applied hoping I'd get lucky (and not in the She Bop way) and be chosen. I was!!! Yay! Before the festivities even started, Jen of My Kitchen Addiction & I met with Gail of the ultra-amazing One Tough Cookie. (Go, see for yourself. She's a cookie genius!) 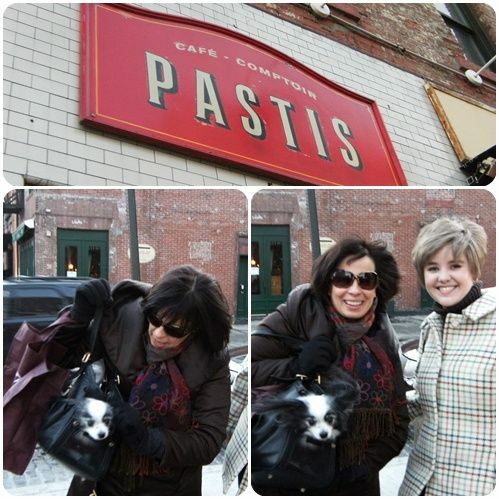 Gail treated us to cappuccinos at Pastis and I felt very hip & New York. Then, we all went to the Gastropub (I'm not sure what that means, but trust me, it's good) The Spotted Pig. We were ushered to a private kitchen and given a cooking demo (& dinner) by Chef April Bloomfield. 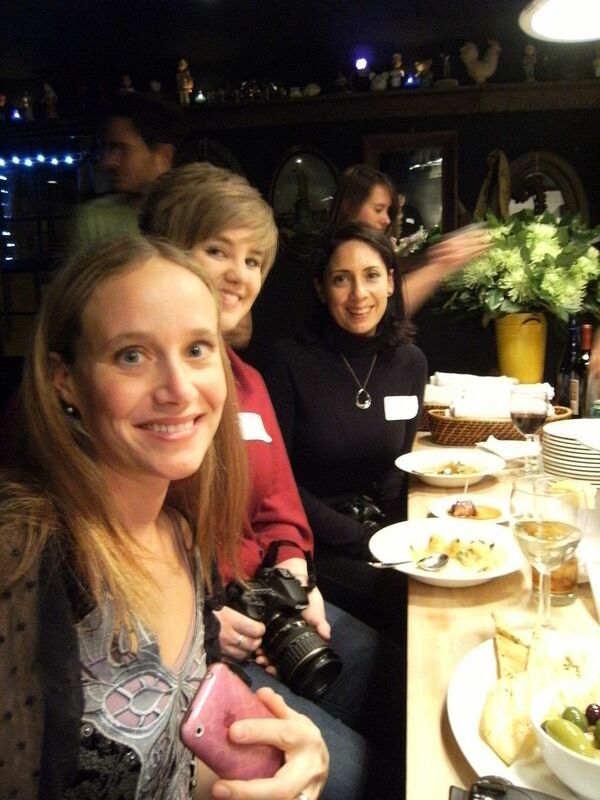 After that, we headed up to the rooftop bar at our hotel for a drink and a gift exchange with the other bloggers. Kelly & Regis came over and talked to the audience between segments. I was most impressed by that. Regis threw candy into the audience. I didn't get any, but I still love Regis for it. Here's the secret about Kelly Ripa.....ready? Oh, and she's tee-nine-y! (That's tiny.) I thought about sticking her in my purse and bringing her home to Texas. Look at me, y'all, in that picture. I'm freaking Julia Child towering over everyone. I'm even hunching. Then, it was time for the Cake Off. You all know about that (or if you don't, click here). I just have to add how nice everyone was to us...the people from Electrolux and Foodbuzz and the PR people handling the event. Kelly Ripa was beautiful and fun and really quick-witted! 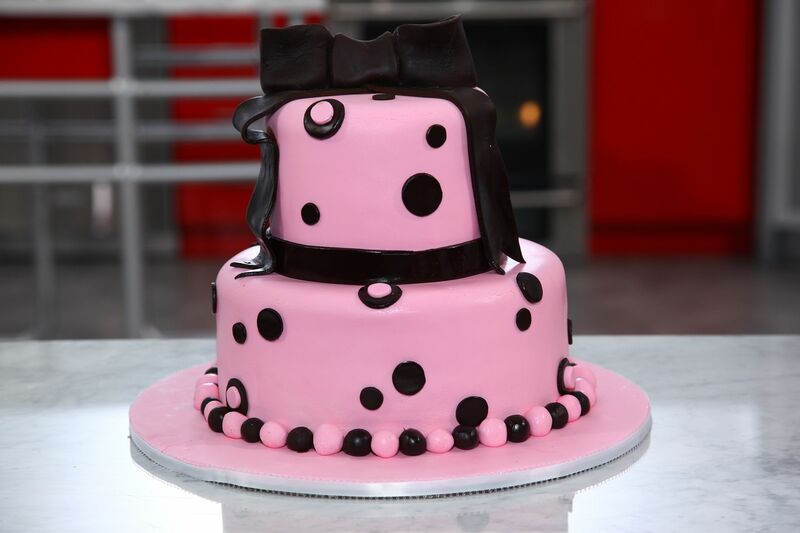 Buddy, Frankie, Remy and the gang from Cake Boss were so fabulous! They were *the sweetest* guys and stayed as long as we needed to help with the cakes, sign autographs, take pictures...and then they had to CLEAN up all of the cake paraphernalia. 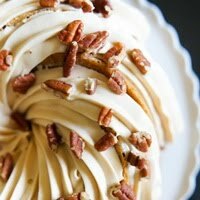 Oh, and Buddy's cakes taste every bit as delicious as they look! Overall, I was lucky! It was a fabulous trip, for a great cause, and I feel blessed to have been a part of it. 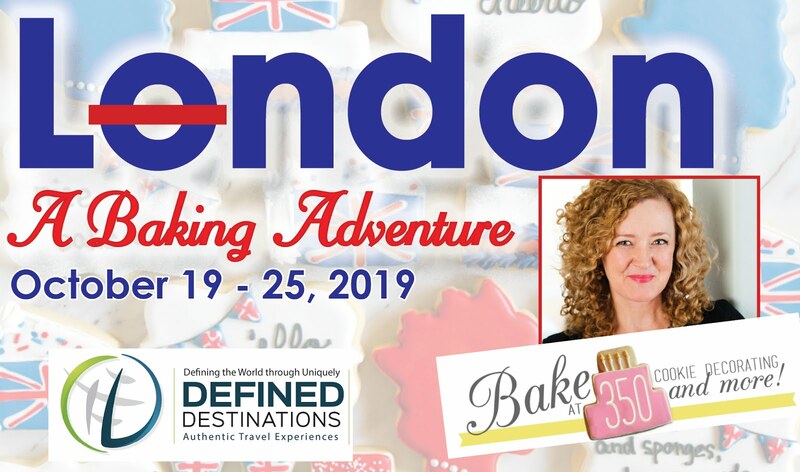 My participation with Kelly's Cake Off for a Cause was sponsored by Electrolux and Foodbuzz who provided me with travel arrangements to and accommodations in New York to participate. I'm so glad you are lucky! We all get the read the interesting details of a wonderful experience! Now you have me wondering, how tall are you? I voted again for your cake... I really do LOVE it! I just voted again also! The trip looked great. I tivo Regis and Kelly every day and the best part of the show is the host chat at the beginning. Kelly is very quit witted and fun to watch. Voted today! Thanks for the cool post. It looks like you had a blast in New York. Good to know that Kelly eats. Did you ask her how she got her ARMS to look so buff? Awwwwww......GREAT POST, Bridget! So glad you had a great time, and thank you very much for the shout-out! 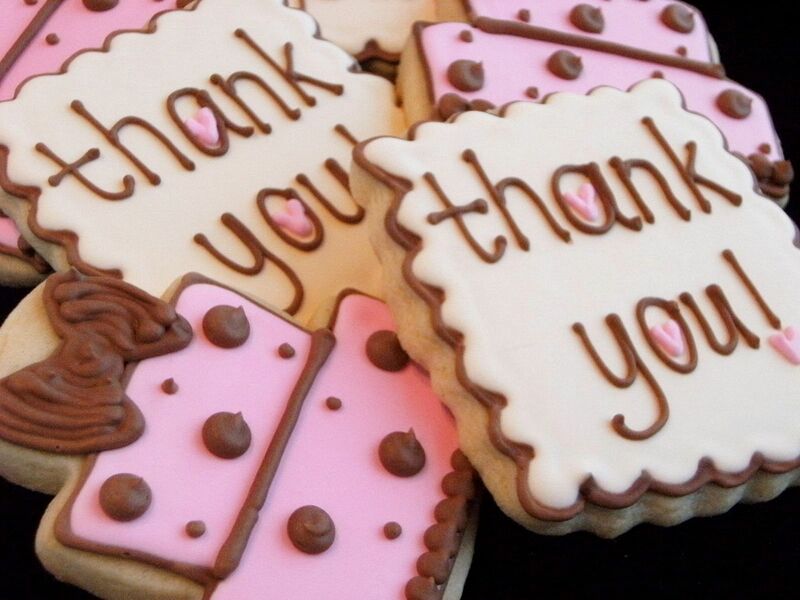 Your "Take a Bow" cookies are a precious reminder of the cake you & your team made for a most worthy cause. I have to admit, I had NO idea about 'she bop'. None. Never even knew it had any meaning. Color me red! so glad to read this post & so happy that you had fun! & most of all...your trip was for a wonderful cause...i have voted for "take a bow" each & every day & you & your team are blessed! keep the great posts a comin' & all the best!!! i bet you're still pinching yourself to see if that trip to NYC was real! it looks like y'all had a fantastic time! and for such a great cause!!! 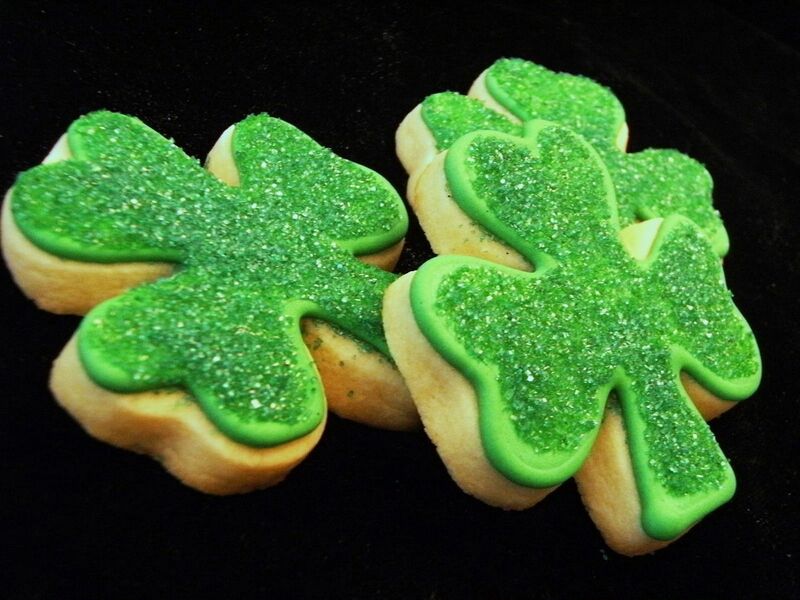 your TY cookies are the best! all your cookies are the best! you are SO creative and talented! i'm going to have to google "she bop"...i have an idea, but! 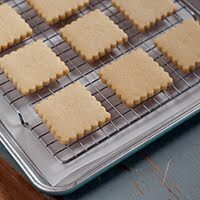 Your cookies are so adorable!! 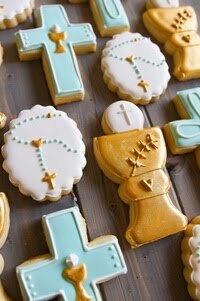 (And, I am now scared because I know the ones I decorate to give away won't look half as good!!) Loved reading your post because I felt exactly the same way! 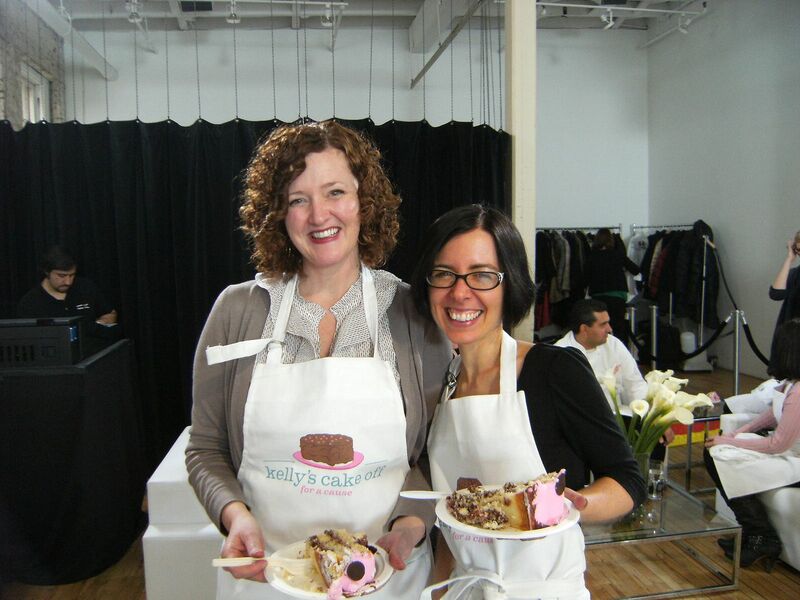 I thought it was so funny that Kelly ate as much as she did - and she was chowing down on the chocolate fondant at the event, too! So cute! thank YOU for sharing all this with us. You ARE lucky! And talented! And smart and beautiful...... And FUN! So fun! I also won a contest in Baskin-Robbins was one of their tubs of ice cream. I had to pick one flavor and that tub was mine. They cut it in half for us since it wouldn't fit in our freezer at home. I tell you, after eating a TUB of Pralines and Cream you'll never eat it again. 20-some-odd years later I still haven't. Hehe. I tried to go to Cake Boss just the other day and the line literally wrapped around the block, so we left. Is it weird that I totally have tears in my eyes? I am *so* proud of you! And honestly, Bridget, you may be lucky, but mostly, you are TALENTED!! And so sweet. And TALENTED! :) What a wonderful and fun experience for a wonderful and fun girl!! Thanks for sharing all your fun! 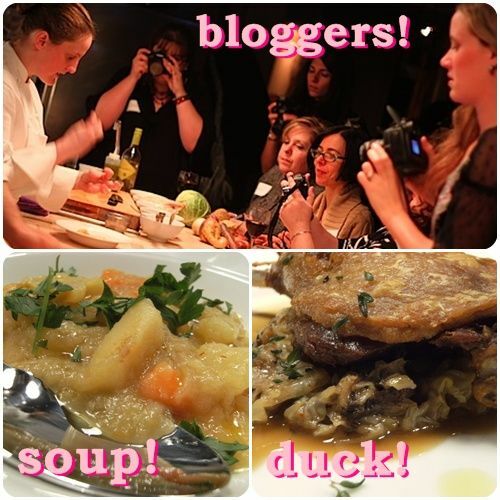 !...........we're all LUCKY to have YOU and your blog!! OK, TidyMom...not *I* had to google. I'd never, ever heard that. Learn something new every day, right? Such a great post. I think this is JUST THE BEGINNING of your wins, friend. P.S. Wow on the "she bop" thing. Oh Bridget, you're just as cute as Kelly Ripa!! Also, the cookies are awesome! Sounds like an amazing experience! 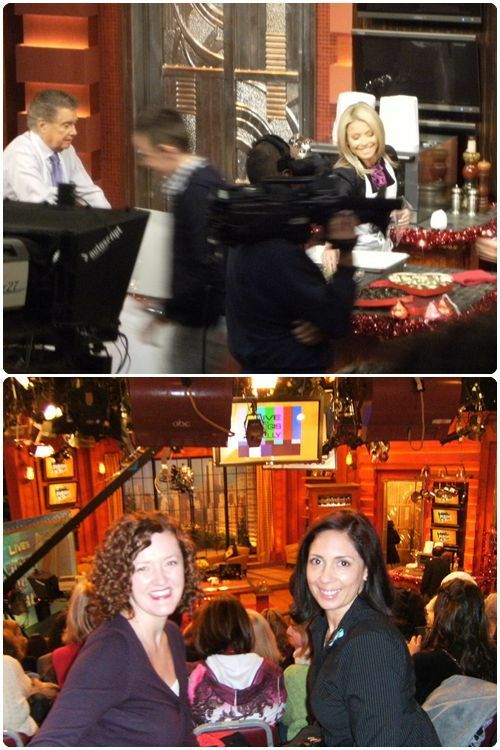 Thanks for sharing the behind the scenes photos of Regis & Kelly and the Cake competition! I voted for your cake, it was beautiful! this really is the coolest experience! I've loved following this! What a wonderful story! I feel excited for you! I've voted and wish everyone the best. What a fun thing to get to be a part of! Thanks for sharing your amazing experience with us!!! I'm glad you had a great time and for such a wonderful cause! That's not shocking. I never assumed she didn't eat. At least you had a good time. This is so cool! 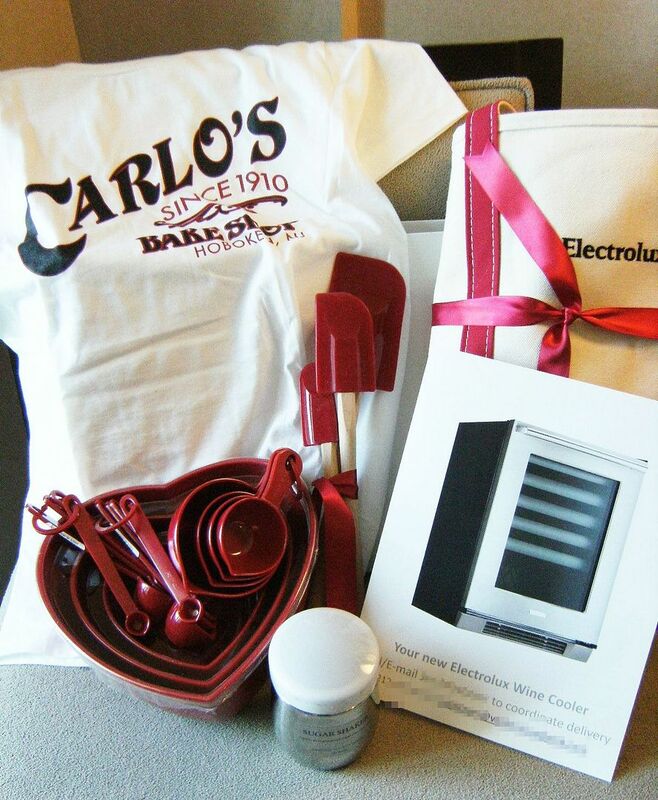 Looks like you had a great time - and look at your awesome freebies!! Love your cake, too, btw!! 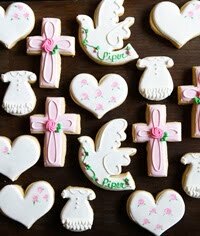 Adorable cookies too! Nice touch! Cute post! I didn't know you won that ice cream! I say, you are lucky! WOW!!! I learn something new everyday. I was around for the She Bop phase, and I never knew what it meant (or understood a lot of the lyrics, for that matter.) lol Thanks for teaching! That sounds like the experience of a lifetime!!! You deserve every bit of the wonderful things that come your way! You have been a blessing to me and I love your blog. Thank you so much! I wish you nothing but happiness and Continued success! You just brought back all my happy memories too! We have the same happy memories now. Sighh what a fun time. I am so glad to know you now Bridget. It sounds like we're even on the same cookie wavelength today. Although your's are probably super pretty. Hi, its my first visit to your blog, and you had me at the first photo! huh! What an amazing time you had at the cake off. 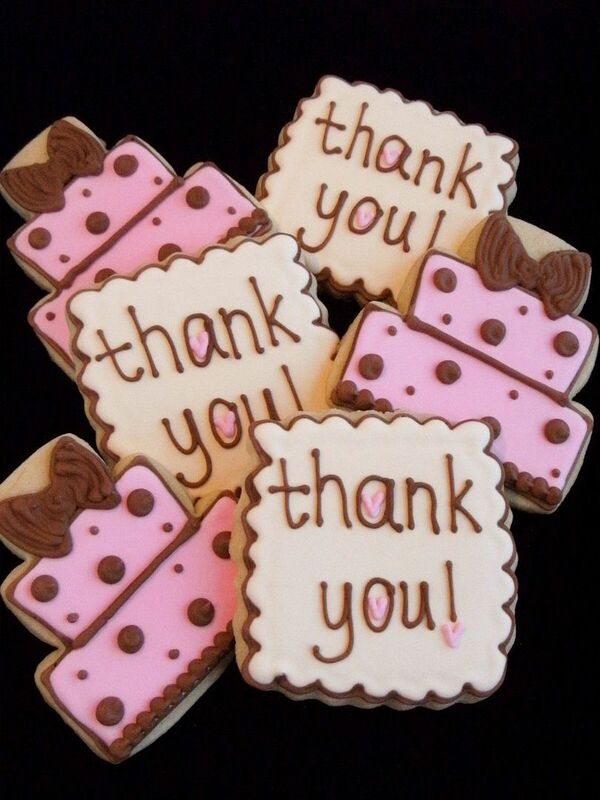 You really are super talented, I love all the colourful cookies you make. Sounds like you had a blast. It's always amazing to participate in something big. You should be proud of all the money your raised. Wow, that looked like so much fun! And I loved the thank you cookies at the end. Really, I love all your cookies. 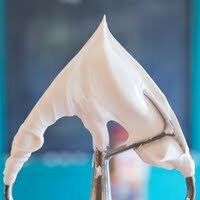 I wandered over here to use your royal icing recipe and had to stop and read this post. Congrats on being chosen! It was a fabulous trip and I was bowled over when I received the email that I had been chosen too. I wish we could of spent more time getting to know each other. this was an experience i will always remember. sounds like such a fabulous experience! wow, how exciting and I actually voted for your cake without even realizing it was yours!! !